Shield Owls are widespread throughout Europe since centuries. The anthology 'Alles über Rassetauben', Vol. 1, edited by Erich Müller, traces the diffusion and differentiation into numerous regional breeds. 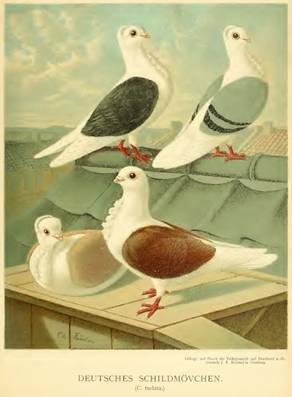 In early figures such as 1763 at Frisch and 1765 in the Treatise they have a very moderate beak length and head shape. This still applied to the representation on a table at Gustav Prütz in 1885. 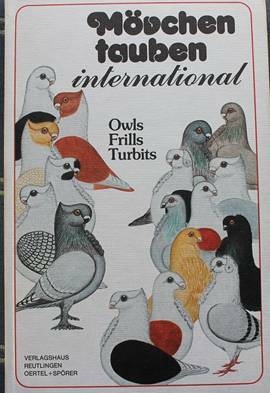 In Central Europe, the introduction of the round-headed and very short-beaked African (Self) Owls and Oriental Owls from North Africa and Asia Minor was a revolution (Assmus/Hegemann 1979). But not all owl breeds followed the trend towards round heads. For the English Turbit Donovon L. White in his 'Turbitology' 2017 has documented the development path to a short beaked owl with a continuous arc line from beak, forehead and vertex to the peak crest. Even under the fanciers of German Shield Owl the development path was controversial. Dr. Ernst Lehmann pleaded in 1891 not to follow the trend for a round head as in the Self Owls and some Oriental Owls. The German ‘Mövchen’ should "be bred on as many curved archlines as possible. Even the bent down strong beak should form with the broad beak warts a single not too weak bulge. Whether the beak is a bit longer or shorter is less important. The greatest possible width at the root and a fairly rapid downward course is the main thing. A thin, narrow beak distorts the head of the pet as well as a tiny, short beak. Both beaks break off abruptly, instead of taking up almost the entire width of the face. 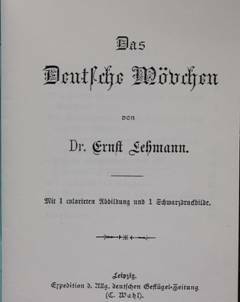 In the imperceptible transition of the beak to the forehead there is actually the secret of the beauty of the head of a Mövchen" (translated from German, Lehmann 1891, p. 18). Fig. 4: Cover and Painting of a German Shield-Owl (Source: Lehmann, Ernst, Das Deutsche Mövchen, Leipzig (1891). Ultimately, however, the supporters of the round head have prevailed, as shown by photos in Lavelle / Lietze 1905. The ‘German Mövchen’ has survived in the Aachen Lackschildmövchen (Aachen Lacquer Shield), which was still treated by Prütz as a separate breed. Against the conviction of Lehmann (p. 13), but perhaps in the wise foresight of further development. 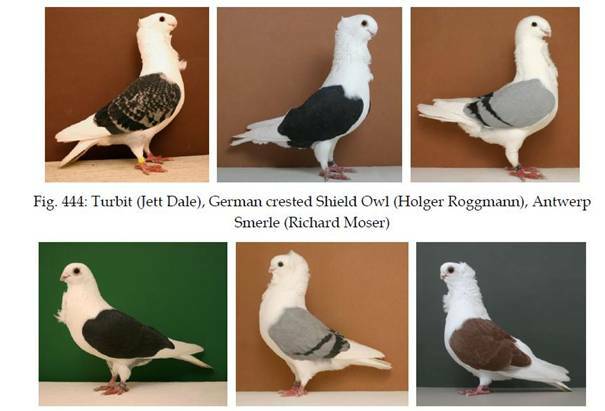 The German Schildmövchen was shown at the last National in Leipzig in 2018 by an exhibitor with 4 numbers and at the VDT show in Kassel in January with 12 numbers, also from one exhibitor. For the Aachen Laquer Shield it was after all 130 in Leipzig and 107 in Kassel. Assmus, Werner, and Werner Hegemann (Hrsg. ), Mövchentauben international, Reutlingen 1979. Lavalle A. and M. Lietze (eds. ), Die Taubenrassen, Berlin 1905. Lehmann, Ernst, Das Deutsche Mövchen, Leipzig (1891). Müller, Erich (ed. ), Alles über Rassetauben Band 1. Entwicklung, Haltung, Pflege, Vererbung und Zucht, Reutlingen 2000. Prütz, G., Illustrirtes Mustertaubenbuch, Hamburg 1885. 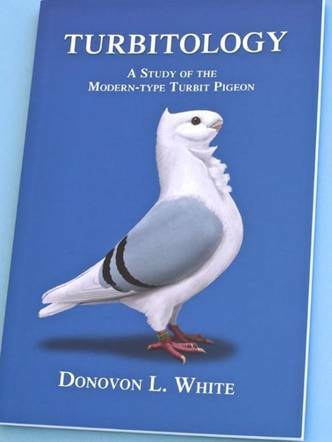 White, Donovon L., Turbitology. 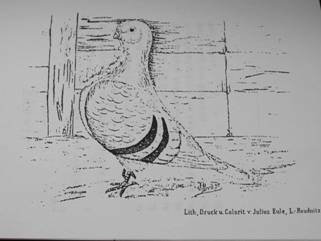 A Study of the Modern-Type Turbit Pigeon, Hemet California, USA 2017.